People suffering from chronic pain are finding relief from a treatment that mimics their original injury. So why is no one talking about it? Cindy’s back pain had plagued her every move for over a year. An avid runner, Spinning enthusiast, and TRXer, my wife’s injury affected her workouts—and was beginning to affect every area of her life. She was hesitant to perform plyometric exercises due to pain and weakness. During lunges, her right leg would buckle. In the middle of planks, one side fatigued and quaked well before the opposite. This injury didn’t only affect her workouts; it hindered all aspects of life. As a full-time gardener, pain was ever-present. Yanking weeds from flower beds caused discomfort. Shoveling was a cringe-worthy task even before the spade cut the dirt. Besides physical tasks, she spent many restless nights trying to get comfortable. Nothing seemed to bring relief. When she finally told me she was undergoing prolotherapy treatment, I was skeptical. I knew she needed to do something about the pain, but I had never heard of this treatment, so I had my doubts. Of all the medical professionals I know, few were aware of such a therapy. Those who did knew little about it. This only fueled my skepticism. Every treatment thus far was palliative, never getting to the root of the issue. So she took a chance, accepting a recommendation to try something different, something unique. Something called prolotherapy. Although a conclusive MRI was never taken, Cindy’s injury presented, and was diagnosed, as a ligament tear to the right of her spine. To protect the injured area, her body overcompensated with other muscles, causing imbalance. Physical therapists tried dry needling, massage, ultrasound therapy, and prescribed stretches. None of these relieved the pain. Heating pads and ice packs provided minimal relief, and only during application. It seemed like a solution would never be found. A year of constant frustration passed. When Cindy’s physician suggested Dr. Jessica Bell, a Doctor of Osteopathy, she jumped at the opportunity. It was time to seek out alternative methods of treatment. Injections near the site of the injury mimic a “re-injury” and activate the body’s healing response. Prolotherapy is not a new medical procedure, yet it isn’t ancient. It originated in the 1930s when it was used to treat pain associated with ligament laxity . The process is not overly complicated. By injecting a solution at the injury site of a ligament or tendon, prolotherapy seeks to mimic a re-injury of the site. Acting as an irritant , the solution deceives the injured structure, stimulating the body’s healing process. Today prolotherapy has wide reaching clinical applications, although it remains somewhat in its infancy. The treatment is not a one-time fix. Multiple sessions are required to stimulate healing, each time encouraging blood flow to the injured tissue. The number of sessions varies, depending on the severity of the injury. On average, sessions can be as few as three and as many as six. Prolotherapy practitioners recommend spacing out treatments a month apart, and no anti-inflammatories should be taken during that period. 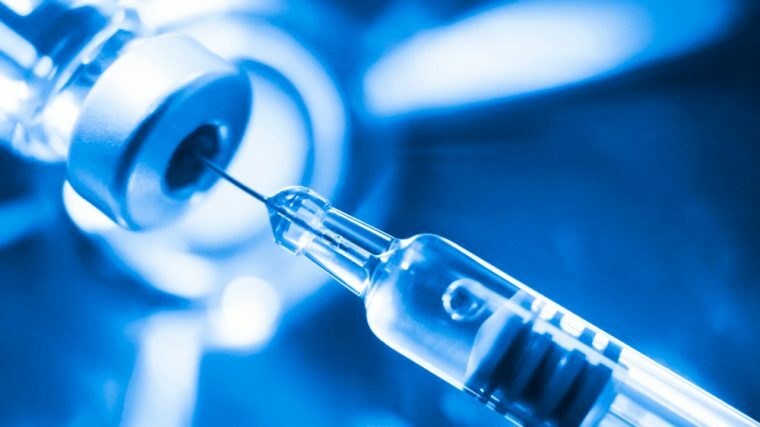 During each session, a person may be injected in multiple spots. A solution of Dextrose 15%, normal saline, and lidocaine, is the most common used . Cindy’s first treatment consisted of 11 injections using a solution similar to this. When she showered that night, her back was a constellation of small circular bandages marking the injection sites. Dr. Bell’s enthusiasism about prolotherapy is infectious. If anyone knows about the benefits of this therapy first hand, it’s her. After injuring herself during a Crossfit regional event, she underwent treatment with great results. She learned the technique shortly thereafter, hoping to pass on the benefits of prolotherapy and to make it available to those who need it. Having performed over a 1,000 treatments to a host of patients, Dr. Bell has become a passionate advocate. Tracy Cassidy is one of Dr. Bell’s many patients. She first developed pain in her front deltoid at the end of 2017. It creeped into her shoulder with a tinge of pain that affected only a few exercises. Over time, though, the pain became worse. Her workouts fell flat. 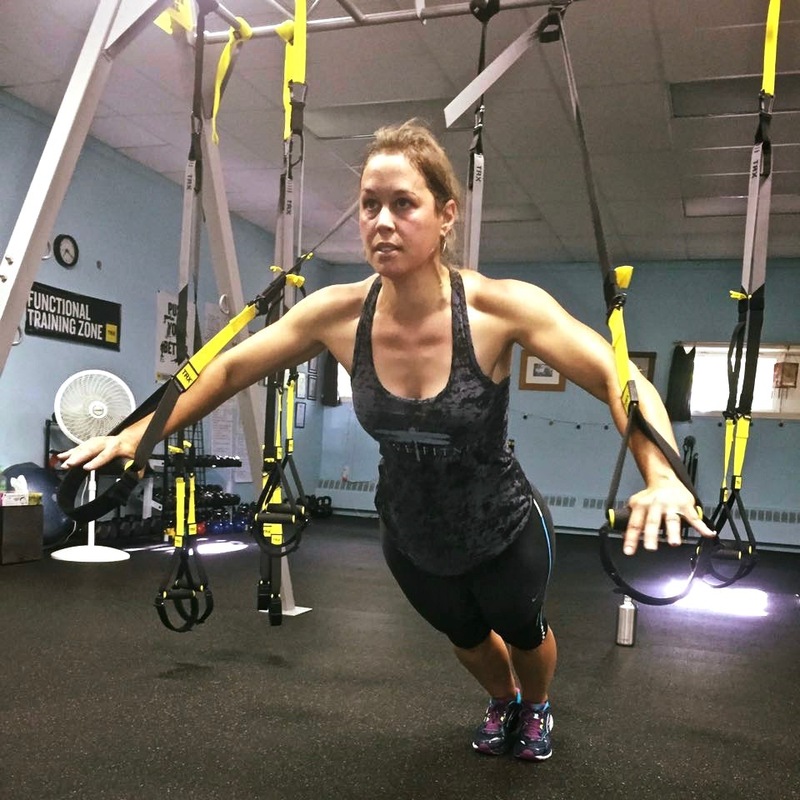 During a TRX chest press, her angle decreased to the point where there was hardly any resistance. This became frustrating, especially for someone who is a triathlete and highly competitive. Training for an Ironman, she was no longer able to swim. She continued to lose range of motion. Multiple avenues of treatment included massage, cortisone shots, and physical therapy. These gave only temporary relief from pain, never healing the actual injury, which was biceps tendinitis. Other athletes recommended prolotherapy and she decided to give it a try. Cassidy found relief. Throughout treatment she noticed no pain at all—although this is not normal, as she notes a high pain tolerance. After her third round of prolotherapy she noticed a significant difference in her workouts. Her chest press increased, and she is close to where she was before. She is back in the pool and has since competed in triathlons. Beside all this, she noted a greater range of flexibility than ever before. The greatest impedance to widespread accept of prolotherapy, Dr. Bell asserts, is a dearth of clinician’s practicing the technique. While chiropractic care and acupuncture are widely accepted, prolotherapy is still met with widespread skepticism. Dr. Bell is unaware of any insurance company that covers the procedure. Cassidy’s insurance covered office visits, but not the treatments themselves. Dr. Bell believes that cultural acceptance would come if the number of practitioners was higher, and there was more clinical research for studies. As time moves on, she hopes the proof is in the patients’ recoveries. Opponents to prolotherapy are dubious in admitting a benefit from this treatment. Many studies cite lack of clinical evidence as an argument against the efficacy of prolotherapy treatment. A recent UnitedHealthcare Commercial Medical Policy was published May 1st, 2018, titled “Prolotherapy for Musculoskeletal Indications.” Under the subsection of coverage rationale, Prolotherapy is unproven and not medically necessary, it noted “the available studies are limited to those that include short to medium term follow-up with no significant functional improvement compared to placebo .” Throughout this policy, a need for further research is cited, noting a lack of long term benefits and patient outcomes post treatment. Throughout researching this article, doctors I spoke to were simply unaware of this treatment. Performing therapy without proper research can have its complications. A survey of 95 clinicians using prolotheraphy, yielded results of side effects to include 29 cases of pneumothoraces (an accumulation of gas outside the lungs in the chest cavity) and 14 allergic reactions . As with any injection performed in a clinical setting, infection may also be concern. This is not singular to prolotherapy, and is a risk run with any injection . While side effects reported are limited, the lack of long-term study means there is an unknown element of what other side effects may exist. As with any study that is inconclusive, it is uncertain whether prolotherapy truly works on its own. Until studies have been conducted in the appropriate fashion, this will be prolotherapy’s greatest detractor. There is an argument the treatment only provides relief in conjunction with other therapies . Many medical journal articles cite populations having the same relief as the placebo group , receiving only saline injection. To truly ascertain this, prolotherapy treatment must be treated like drug testing by the FDA. Without financial backing for research and development though, it’s impossible to say when this would happen. Dr. Bell’s office is soothing. It is housed within an old mill building resting upon the deep, dark waters of the Androscoggin river. The walls are brick, worn by the ages of industrial factory use. Windows in the treatment room look out over the rushing water. Blue Herons and Eagles swoop down into the waters or perch along the rocky river line. The centerpiece in the room is what looks like a massage table. Atop a stainless steel medical tray rest a collection of syringes and needles, gloves, alcohol wipes, and a magic marker. A medical instructing skeleton faces away from the table toward the wall, like a queasy spouse averting their eyes during the treatment. Dr. Bell’s hands are methodical. She presses into Cindy’s back and marks along the injury site. It is a treasure map with dots and dashes, X marks the spot. Alcohol wipes are pulled across the skin, cleaning the injection sites. After the syringes and needles are connected, the first injection begins. Cindy pulls air in through her teeth. Tears stream down her face. There are no screams. With each injection, the needle is sunk into flesh. Sometimes Dr. Bell floats it in and out, looking for that sweet spot. Finding it, she presses the plunger, injecting the solution. Dr. Bell’s gaze is fixed where needle meets skin. Talking aloud, she communicates everything being done, painting a mental image for Cindy. When she is complete, Cindy has had 11 injection sites that day. Her second therapy, it is believed she will complete one more before finished. Finding relief after the first session, Cindy is enthusiastic for each subsequent session, even knowing the pain it produces. Tracy, after three sessions, was relieved of pain and found full range of motion again. After a series of therapy sessions, Cindy Jester is back in action. Prolotherapy has a long hill to climb. Insurance companies do not cover this therapy due to a lack of research proving the efficacy of the procedure. As a result, few doctors perform prolotherapy, reducing the pool of research subjects. When I teach CPR I always remind my students: medicine is a science. Because it is tied to the human body, we want to believe that it is steadfast and true. This is because it has to do with life and healing, and no one wants to believe what is meant to save life, may be ineffective. The truth with science is that nothing is steadfast. As time moves on, scientific progress evolves, making new discoveries and innovations. This does not change for medicine. When I began teaching CPR years ago, I was performing 12 chest compressions to one breath. Now, I am performing 30 chest compressions to 2 breaths. It is with research and time, we find some medicine effective and some not so much. And it will be with research and time that prolotherapy either proliferates and spreads, or stays on the fringes of mainstream medicine. David Jester is a writer and firefighter/paramedic driven by wanderlust and a persistent tug for obscure travel. He is a member of Chicago-based Drinkers With Writing Problems and is writing and starring in a series on Public Safety. Find him at dfjester.com, on Twitter, Instagram and Youtube.